Here at Fix Radio we're always looking to find new ways to improve the station. 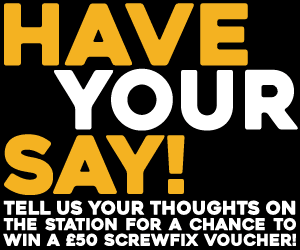 Let us know what we could be doing better on air and you could win a Fix Radio Mug and £50 Cash! How did you find out about Fix Radio? Where do you listen to Fix Radio? How do you listen to Fix Radio? What, if anything would you change about our music? What, if anything would you change about our presenters? Is there anything we're doing that you like in particular? Is there anything we're doing that you don't like? Is there anything that we're not doing that you think we should? I am happy to be contacted about the station in future.